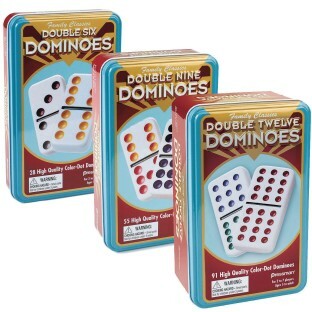 Take Dominoes on the go! 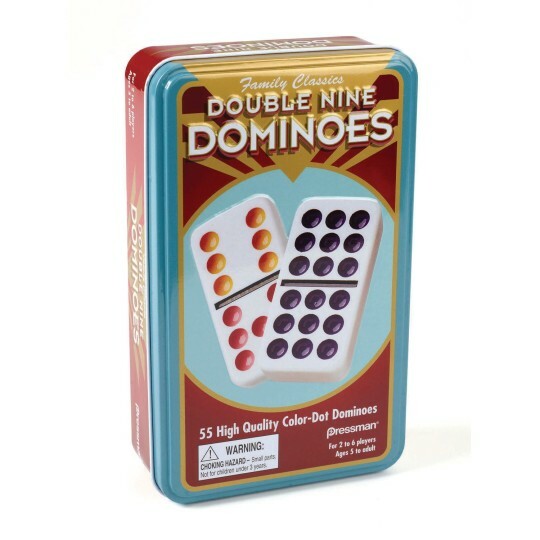 Sets of jumbo crystalline dominoes with bright color dots packed in a striking tin travel box. 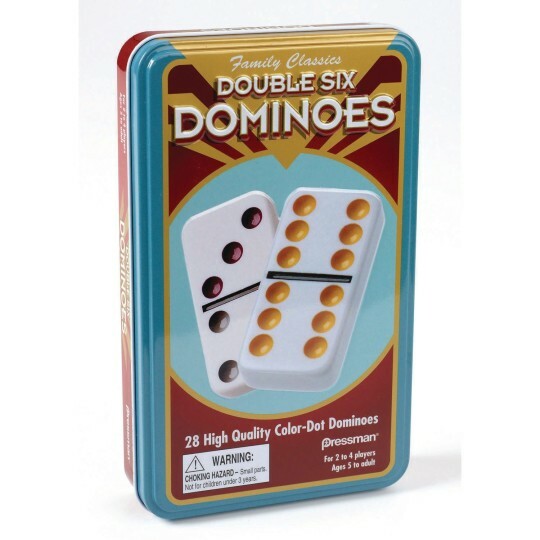 Each set includes instructions for your favorite domino games, as well as a Mexican train starter piece. Double Six set includes 28 pieces. Double Nine set includes 55 pieces. 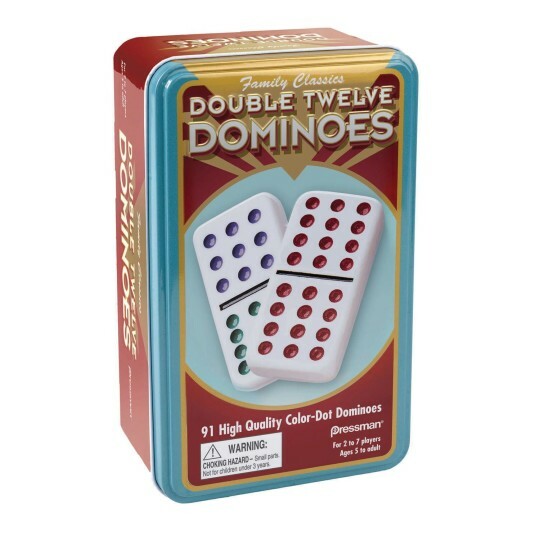 Double Twelve set includes 91 pieces. For 2 to 7 players, ages 5 and up. I used this product for our annual worship center picnic and it went over very well! This is great for using with individuals who have cognitive impairments because the numbers only go up to six and each number is designated a specific color as well.